DS RPG The World Ends With You is one of the most beloved games on the system, but in opposition to Square Enix's love of doling out Final Fantasy and Dragon Quest updates like they're going out of fashion, we've seen neither hide nor hair of Neku and friends since the original game released. Does that mean the series has been killed off? Not necessarily. Although you may have missed it, the game's protagonist Neku turned up in a recent trailer for Kingdom Hearts: Dream Drop Distance, initiating much squealing from certain sections of the DS fanbase. One of the key staff behind TWEWY, Tetsuya Nomura, recently spoke to Famitsu and hinted this won't be the last time we see Neku. Andriasang reports that when asked about a sequel, Nomura said that fans should take Neku's appearance as "notice of something to come", following up by stating that "something is being worked on". We'll have more as we hear it, but in the meantime look at Neku in 3D below. Sora is Ninja who does parkour. WOOOOOOOOOOO!!!!! I freaking loved the world ends with you. Seeing neku in Kingdom Hearts is awesome enough but now that theres hope for a sequel its even more awesome. Please let this happen. Am I the only person here who didn't like "The World Ends with You"? It felt like I was playing a chick flick video game. I didn't LOVE it, but I thought it was pretty unique. I'd like to see what they do with a sequel. I can't say I overly enjoyed it. Seemed a bit complicated for my tastes & the art style / music kinda sucked but hey that's me. Hopefully a sequel comes out for those who liked it Maybe I'll give it a 2nd shot someday. I never played this but always wanted to! Its a square game that good and I usually never pass them up! I don't really have a lot of time anymore for gaming and so many good games on the horizon. Ill pick this up one day and play it eventually. Hopefully before a sequel comes out! been hooked the first minutes i played and played it loud. everything was unique in this game... i really do hope to see something new with this franchise. I've said since the first time I saw the Wii U that it would be a perfect system for a TWEWY sequel. The screens man...THE SCREENS! It looks so beautiful. Really well put together trailer. It's really a great game. The music and art style may not be for everyone, but I personally loved it. @LordJumpMad I'm just sad you couldn't enjoy such a great game. If a gamer can't enjoy amazing games there's no point in playing games is there? Let's hope there's some other genre you like, seeing how RPG's aren't your style apparently... poor thing. I so freaking loved TWEWY! Too bad I am not really a fan of Kingdom Hearts. The crushing irony? It'll probably appear on the PSvita instead. And how exactly is this not Kingdom Hearts 3? I enjoyed the game, but I wouldn't want to play through it again. It got really repetetive and so did the music. But other than that, I'm glad to hear that he's making an appearance in KH, and that it isn't the end of Neku. OMG Yesssssssssssss! You can probably tell from my Avatar what a fan I am. YYYYYYYYEEEEEEEEESSSSSSSSS!!!!!!!!!!! 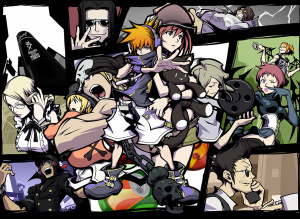 IMO, TWEWY is the best game on the DS so a second TWEWY on 3DS or maybe wii U would be fantastic. Although, while the cast of characters were awesome (especially Neku) I wouldn't be surprised if a sequel had a different cast of characters but if it didn't it would be interesting to see how they would continue the story. Great trailer!!! And finally Quasimodo! So, what's the betting on The World Ends With U? JUST TAKE MY MONEY ALREADY!! I wouldn't mind another World Ends with You. I loved the first game, so a second one would be cool with me. Plus, I flipped when I found out Neku would be in Kingdom Hearts 3D. How is it series if there's only one game? At least you didn't abuse the word "franchise" in a wrong way, which is annoyingly common. 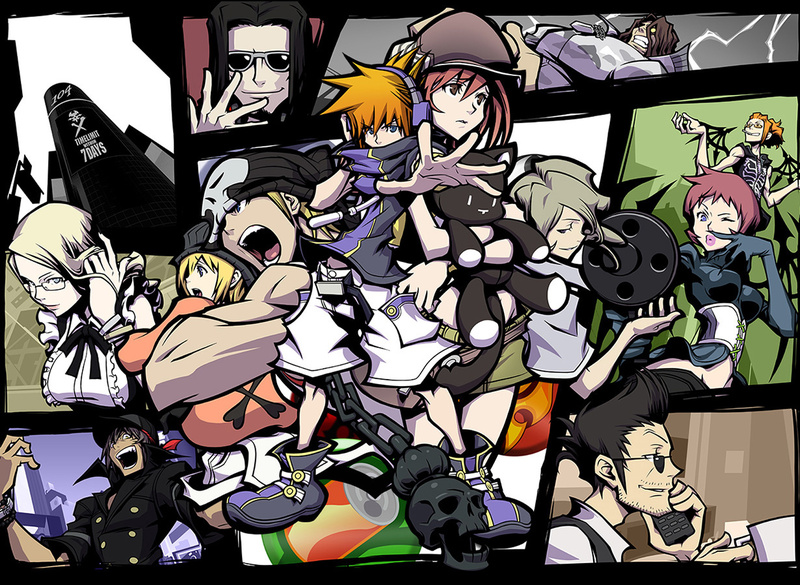 TWEWY was (and is) one of my favorite games. One of my favorite characteristics of the game was the art style, so I was curious as to how Neku would pull off the transition to 3D. In the end it turned out even better than I had expected! I want this. A lot. In general I want more JRPGs to go in the awesome direction this game did. But I'd kinda prefer it if they have almost completely new characters and a new setting but blatantly in the same universe sort of thing. Seems like it would fit really well. And possibly go more in depth with the post-game stuff from the first game. @34 Can't do it any higher! @34 Can I put my hand down now? eh...couldn't finish the game either...dunno why. Just lost interest in the game. If I could recall and the end of the Credits it said "The World Begins With You" The second title anyone?